The indicator marks the estimated market reversals in the form of arrows. The indicator is able to detect 3 types of reversals. The primary reversal signal. It is a stronger and more important reversal. Denoted by the largest arrow. Alternative signal - additional signal without additional filters in contrast to the primary. 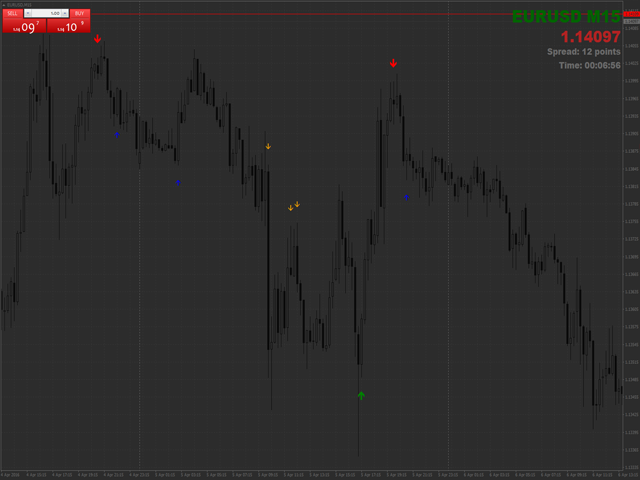 Suitable for scalping on small timeframes. A mixture of the primary and alternate reversals, but with the addition of the trend filter. 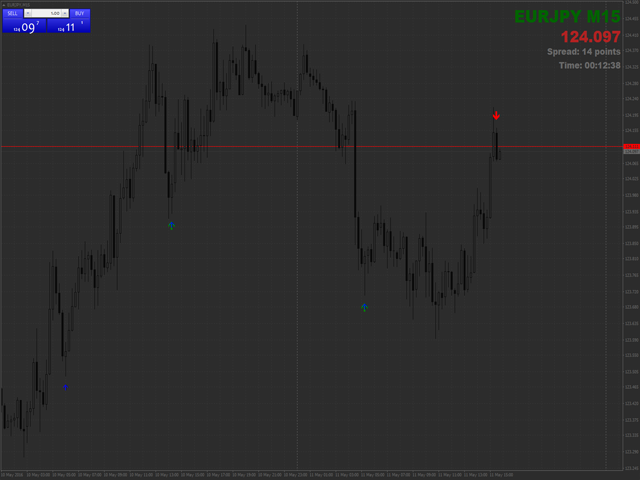 Also shows good results on small timeframes. The concept is in the maximum deviation of the price from the fast moving averages. If the price is above the MA and is distant enough, then such signal is considered a sell signal. A buy signal is opposite. All options are activated separately. The indicator also features an alert when an arrow appears. The indicator is not redrawn!!! ShowStrongSignal - show the primary signal. ShowAltSignal - show the alternative signal. UseFilter - use the filter. UseAlert - use the alert. Corner - info display corner. Excellent indicator!! Andrei is really helpful! 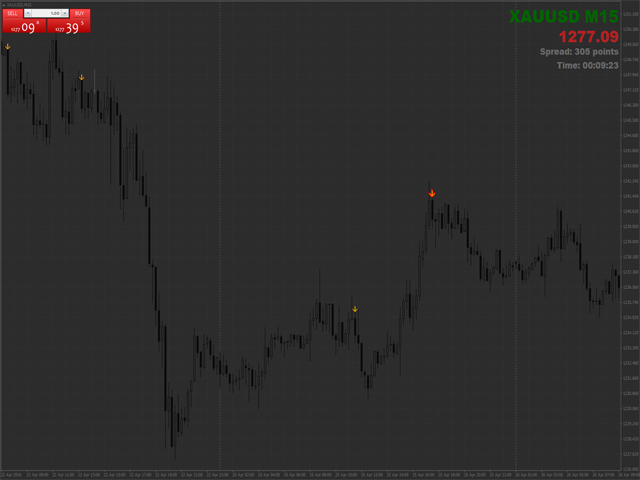 Optimized the indicator readings. Improved the indicator calculation and performance. Changed the info block display. Data on the current symbol, time till a candle closure, current price and spread now have a more convenient look. The new version adds the ability to change the display angle, as well as the font size and type. Added ability to enable/disable the option.